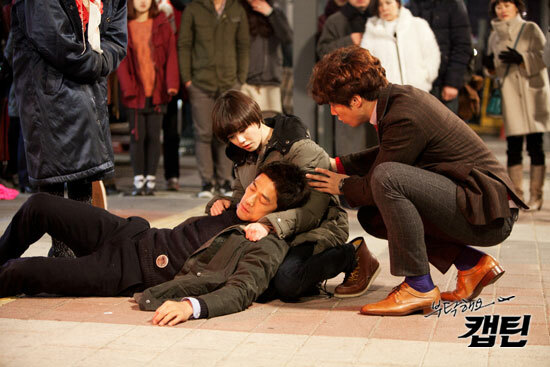 In order to rescue Da Jin and Mal Ja from a siege, Yoon Sung is knocked to the ground, after which he is admitted to the hospital by Da Jin and others. Yoon Sung suddenly changes his mind, he goes to the president’s office, wanting to take back his resignation letter. Because the control tower operator error, Da Jin is scolded by Yoon Sung again. Da Jin uses the passengers’ cabin broadcast to mediate the mood of the passengers, Yoon Sung and Ji Won are touched. Da Jin and other copilots begin a special training, but the harshness of Yoon Sung made them a great headache. Da Yeon hopes to invite Yoon Sung to the as guest, Da Jin falls into guilt after hearing the words of Da Yeon.